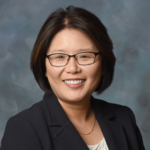 Rita Lei joined Paradigm Precision in January 2017 as corporate Chief Financial Officer (CFO). Rita has over 20 years of financial and aerospace manufacturing experience. Prior to joining Paradigm Precision, she was CFO of the Engine and Environmental Control Systems business unit at UTC Aerospace Systems Division, in Windsor Locks, CT. Rita previously held the positions of Manufacturing Operations Finance Director, Financial Planning & Analysis Manager, Campaigns Finance Manager, Repair Operation Finance Controller, and Financial Analyst at Pratt & Whitney in east Hartford, CT. She joined UTC under its Financial Leadership Program. Rita earned her Master of Business Administration degree from Carnegie Mellon University in Pittsburgh, PA. In addition, she holds a Bachelor of Science in Accounting from the University of Massachusetts in Amherst, MA. Rita has also graduated from executive education programs at INSEAD, Tuck School of Business at Dartmouth College, and Darden School of Business at the University of Virginia. Rita speaks Chinese (Cantonese) fluently. She currently lives in Newington, CT with her husband.